Film Society KC presents an epic double feature! 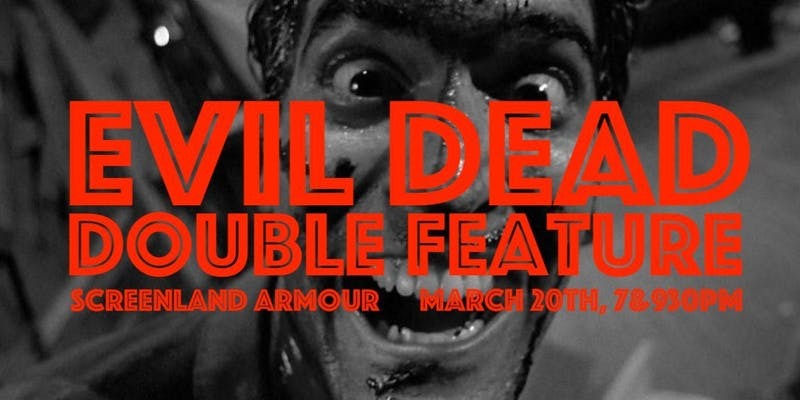 THE EVIL DEAD and EVIL DEAD II 4K Remastered at Screenland Armrour on March 20th at 7 & 930PM! Click here to get your pair of tickets to both shows! Just 10 available! At a cabin the woods, Ash Williams and his girlfriend play a voice recording from an archeologist chanting from The Book of the Dead.